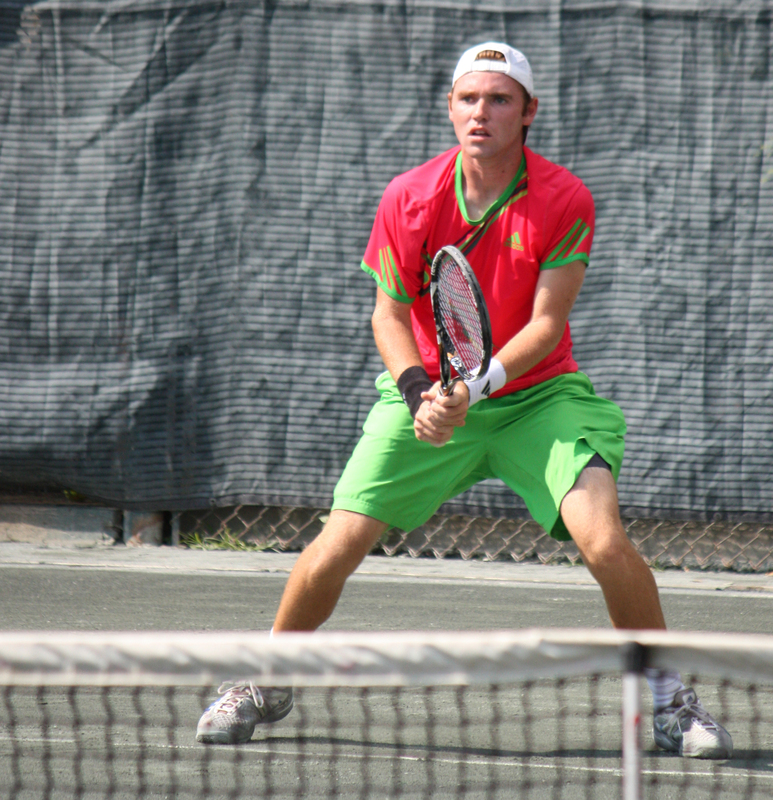 Former top junior in Middle States and 2011 French Open Junior champ, Bjorn Fratangelo, is adapting to the pro life and looking to rise in the ranks. The life of a young pro seems like a busy one. Do you get a chance to visit home anymore? When you do, what’s on your to-do list? I do get to visit Pittsburgh. I’m always home for Christmas, and now that I’m not training in Naples, I spend some training weeks with my dad at home. When I’m home, I try to get some normality back in my life. So, I’ll see friends a lot and I’m lucky enough to have most of my family living in Pittsburgh. My cousins and I are all very close and we’ll always try to do a dinner at some point when I’m home. I train hard during the days and at nights, I always try to have something to do since I’m in hotels all the time. How is the pro life treating you so far? The pro life is definitely a tough road, but I’m enjoying my first year as a pro, and although I’m not all that satisfied with my results thus far, I’m learning things and I’m starting to feel good about my game. I am starting to see areas where I need improvement and I’m working on them everyday. Hopefully, I’ll make a jump and get out of the futures as soon as I can. When you’re not playing tennis, what’s one of your hobbies, or something that most people wouldn’t know about you? I wouldn’t call it much of hobby anymore, but I used to write a lot. I enjoyed writing in school and I was very good at it. On the road, I still write about each match on my iPhone. It’s something that I like to do and it comes naturally. If I would have chosen college, I wanted to pursue a career in sports journalism or something along those lines. How did winning the 2011 French Open Junior title change you, if at all? The French Open was a huge life-changer. I gained a ton of media attention at home and it was something that I never thought would happen. When I got home to the Pittsburgh Airport, I signed autographs and took pictures with people who recognized me. I was like,”you want to take a picture with me?” I felt a little embarrassed and I guess I didn’t realize how big the win was. I became more recognized around Plum Borough, and became more recognized on an international tennis level. After that win, agencies were calling my parents and me, newspapers were calling me everyday for a week. It was pretty new. I have a very low-key personality so, I’m not great with the spotlight, but I think I handled everything very professionally. I took a few days off from practice and then it was back to courts like none of that just happened. I was playing with a ton of confidence and I made my first futures final in Pittsburgh in front of friends and family. I rode the wave pretty well until the fall. What went into your decision to turn pro, and how tough of a decision was it for you when weighing between that and college? My decision to turn pro was extremely difficult. Since September 2011 it was back and forth every single day. I really couldn’t make a decision in the fall of last year because I was injured. I missed most of the fall and it really left things at a stand still. College coaches were calling all the time, and agents were calling as well. It was hard for me because, at just 18 years old, I didn’t want to do anything that I would regret down the road. It was tough because I wasn’t playing tennis at the time so, I had nothing to base my decision off of. I’d talk to my friends about what I should do, and other family members, but it was so tough. In the end, it was a dream of mine to play professional tennis, but I just thought it was so far away and that I could never do it. I felt like if I didn’t turn pro I’d regret it while I would be in college. I finally decided to turn pro in April of this year and signed on with CAA-Sports. It was a huge relief for me. What is your most memorable win, amateur or pro? Hands down, my most memorable match was the French Open Junior final. I won 8-6 in the third set and it was the first time I played a set with no tie-breaker. The level of tennis was super high and there were no breaks of serve until I finally broke Dominic at 6-6. Court 2 was packed and the crowd was very alive during the match. It was so fun to play and to be a part of that match. I remember thinking at 6-6 in the third set how cool this whole week has been and how it could possibly come to an end in 5 minutes. I didn’t want to be on the losing end that day. *This is an excerpt from a longer interview. The full interview will be featured in the upcoming issue of NetPLAY Magazine.